'A welcome in heavenly hills! 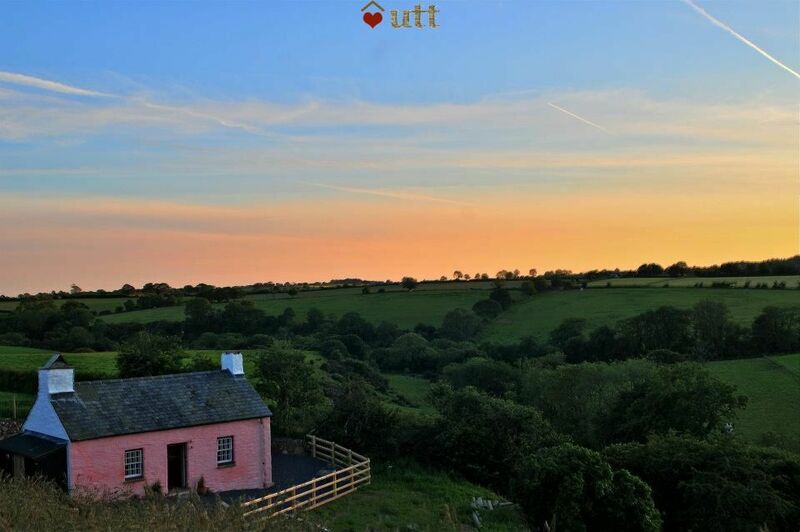 Warmed by a lovely wood burner, Llys y Frân is a cute, pocket-sized pink 'croglofft' cottage for two, set in a peaceful valley in Pembrokeshire. This area is high on lushness but low on light pollution - perfect to enjoy starry Welsh skies through the roof window over your head. 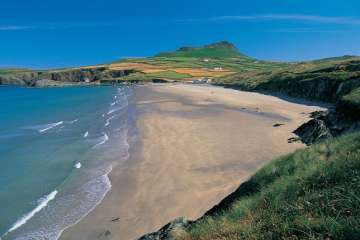 By day explore the stunning Pembrokeshire coast and the clutch of surrounding castles. The nearby medieval town of Tenby has upmarket restaurants and boutiques, while Narbeth offers swish shops and delis to stock up.' 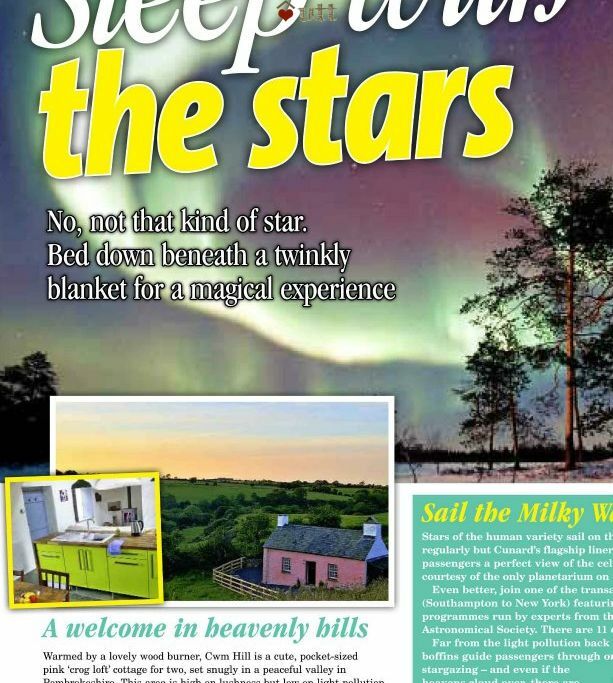 Bella magazine choosing Llys y Frân as the best UK cottages to 'Sleep with the Stars'. 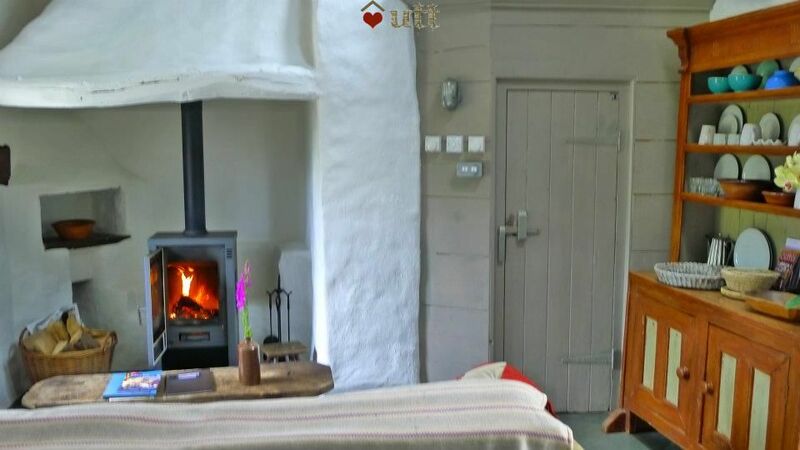 Llys y Frân is a traditional Pembrokeshire 'croglofft' cottage set snuggly into the hillside in a quiet and peaceful green valley. Drive down half a mile of track to find the cottage in a field that runs down to a stream. 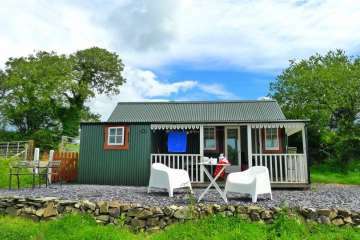 Small, cosy and ideal for romantic getaways. 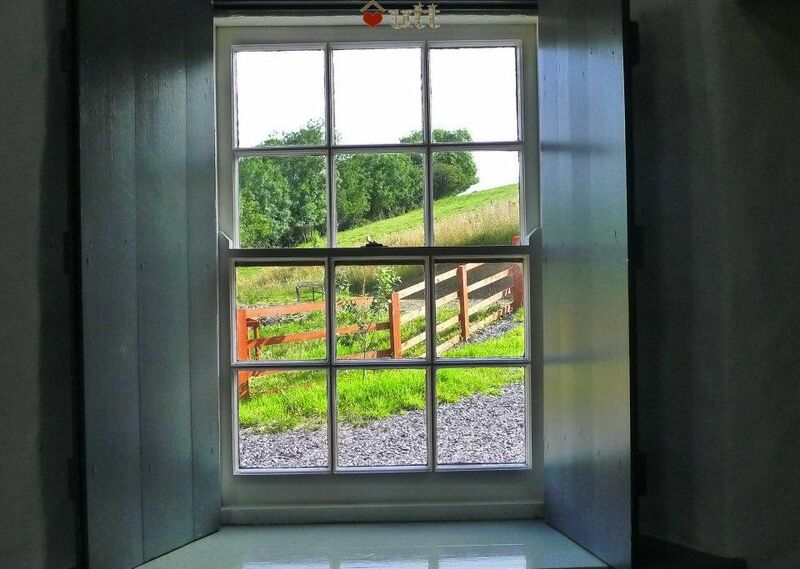 You have two acres of land to romp about in, and direct access to a good footpath network - making this a great cottage for dog owners. 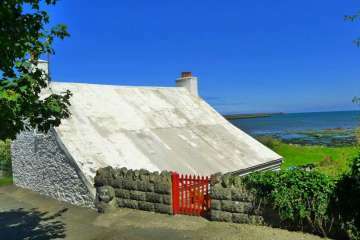 The cottage had been empty since the 1940s and has been fully restored by Under the Thatch conserving all original features. The three-year rescue project provides a cottage full of character, mixing antique furnishings with modern conveniences. 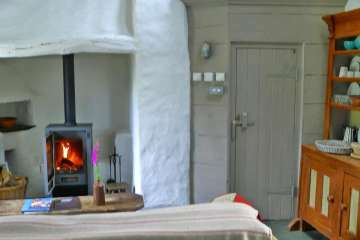 Central heating, a modern, efficient wood-burner and an open fire keep the cottage snug year-round. 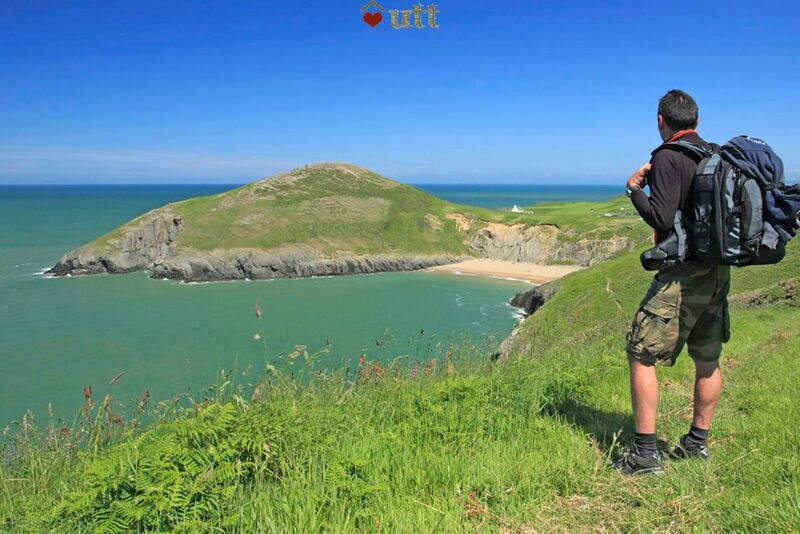 The location in the heart of Pembrokeshire is ideal for exploring this, the greenest (and many would say prettiest) of Welsh counties. 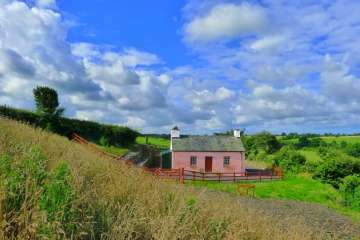 Short drives will take you to unspoilt beaches, ancient castles, and pretty market towns, or there is a footpath over to nearby Llys-y-Fran country park and lake (2 km). At the lake, you can hire bikes and take a trip around the water (6km) on safe tracks. The nearest train station is Clarbeston Road (only 3.5 miles distant, 8 minute drive) but you may feel that you want a car to explore the area. Access from South of England via M4 is quick, and easy. 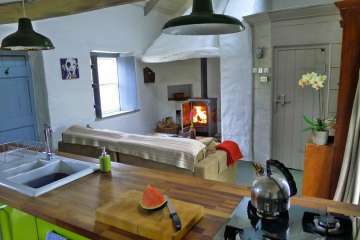 The cottage is centrally heated (included in holiday price) and there is an open fire and woodburner. 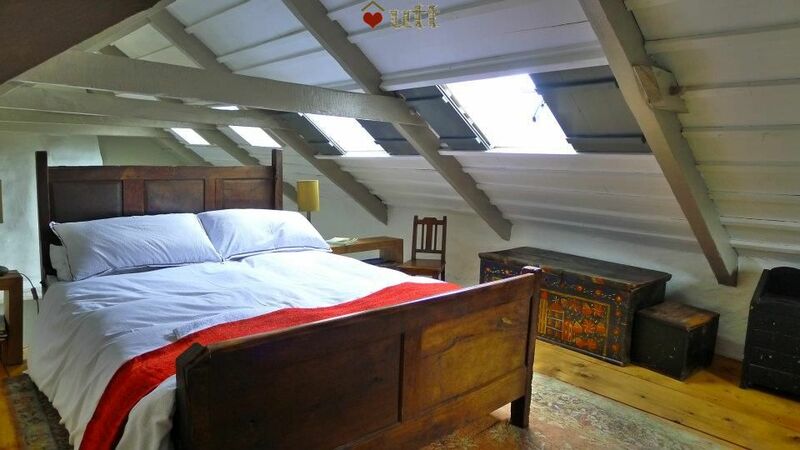 The ground floor is open plan, and open to the 'croglofft' sleeping mezzanine over. 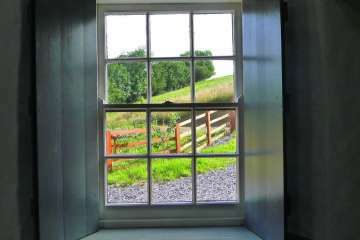 All windows have open country views - you can't see any other houses. WIFI provided free of charge (usually available like any WIFI, but cannot be guaranteed). 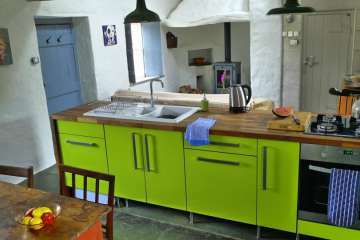 Kitchen area with gas cooker and hob, fridge (with ice-box), microwave. Cegin Fawr with c4m high ceiling giving sense of space. 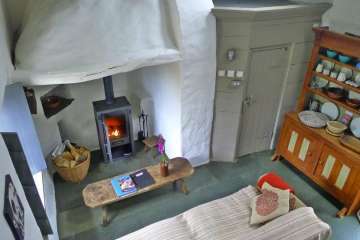 Slate floors, woodburner, sofa, table & chairs. Doors front and back. 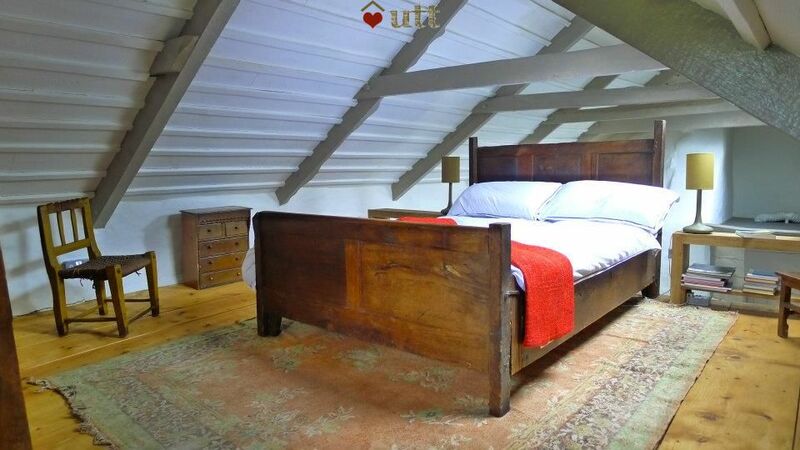 Croglofft: Double oak bed c1780 open as mezzanine to room below. 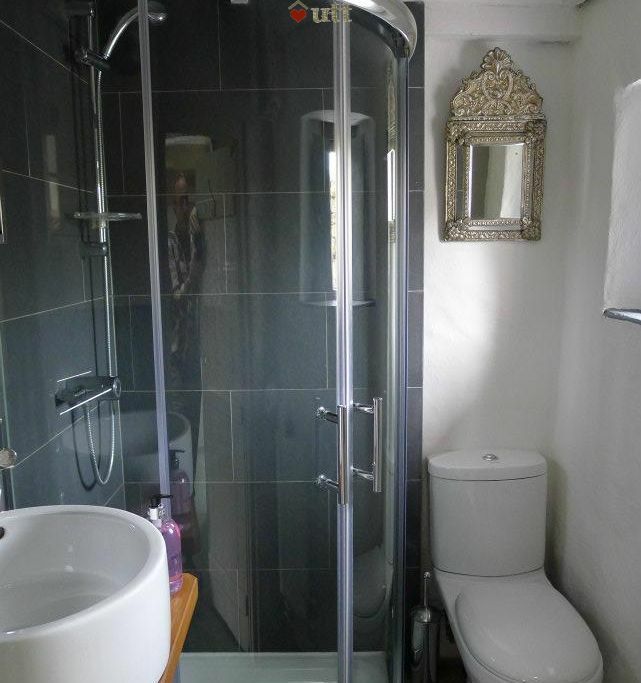 Shower room: Small shower room with powerful shower. 4x4 adventure driving - 5 minute walk! Blue Lagoon - amazing pools & spa facilities - 8 mile/ 16 mins. Narberth - one of most charming towns in Wales - 10 mile/ 20 mins. 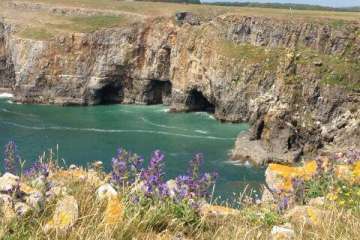 Tenby - beaches, art, boat trips to Caldey island - 20 mile/ 35 mins. Choice of Blue Flag beaches - about 30 mins. Coasteering adventure - 15 mile/ 30 mins. 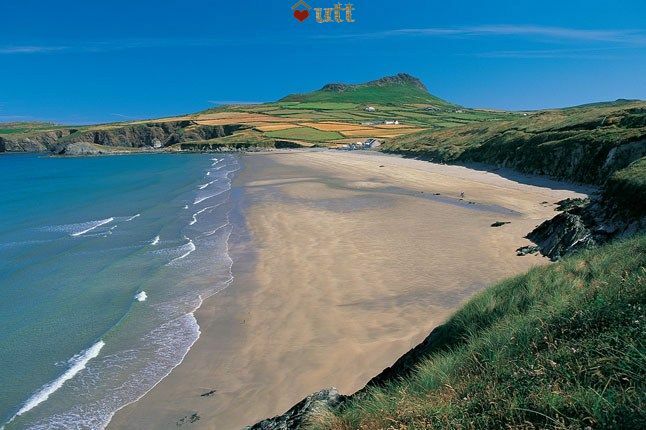 Your are just a couple of miles from the Preseli Mountains! Tafarn Sinc - Rosebush - famous tavern, 4 miles/ 10 mins. 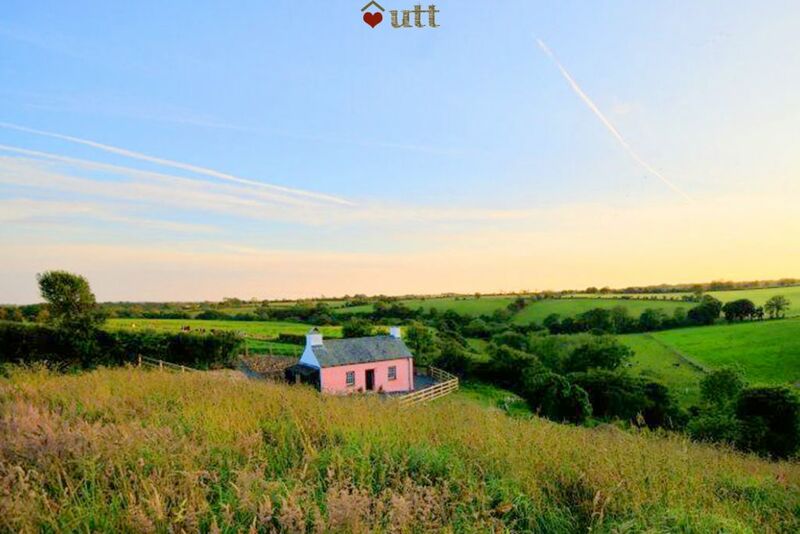 A stunning, magical cottage amidst glorious landscape. An oasis of calm and peaceful solitude. Wonderful walking, starry skies, cwutched up in front of the wood burning fire and watching sunsets from the chair all highlights too! 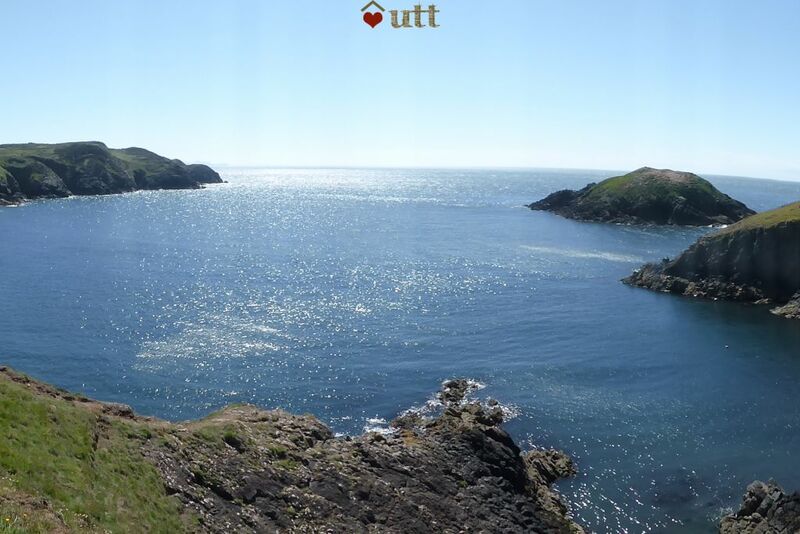 With UTT we have always had the most fantastic, breathtaking holidays and we look forward to many many more. Every single detail is thought about with care, love and attention. An unforgettable Easter haven break - thank you so much. If we could have this silence and tranquillity back home......... what a fabulous place to stay! A most peaceful location, with swallows flying overhead. 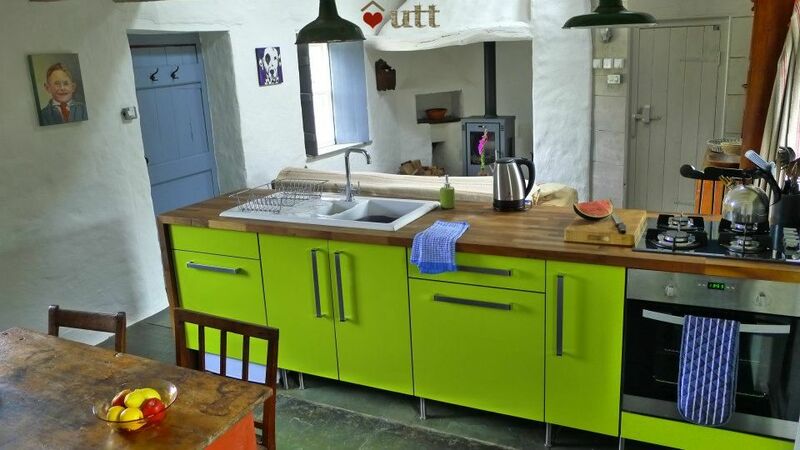 Quaint little cottage with quirky details, but with all mod cons. What a beautiful and cosy place. Couldn’t have asked for better, especially considering it was a last minute booking and we just needed a quiet hidey hole. We would CERTAINLY come again. Bring plenty of firewood, games and wine and you will have a lovely time. 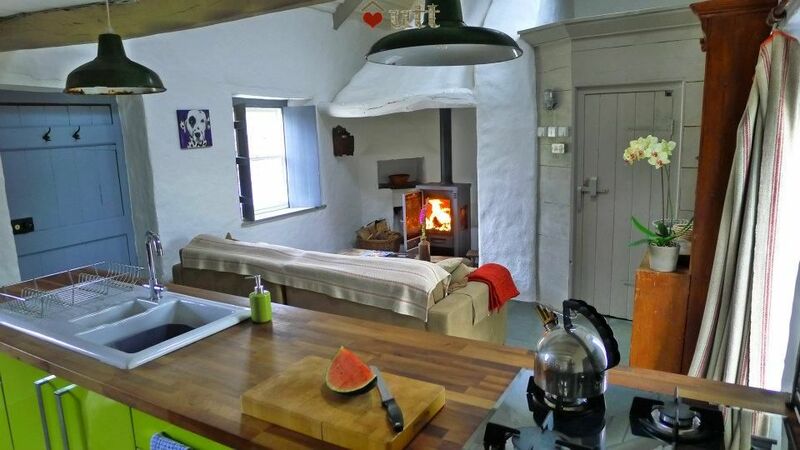 Such a lovely cottage - a perfect place for a cosy weekend with the dog. Very impressive and interesting property - very secluded and peaceful. 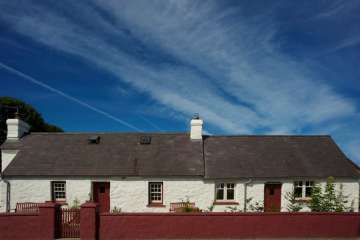 Cottage is maintained really well - standard is of high quality. Enjoyed our stay. Had a lovely 3 nights chilled break at Cwm Hill with our 3 dogs, cottage was well presented and surrounding area very peaceful. Just what we needed. Have already booked our 3rd UTT cottage in December. A truly fantastic week. 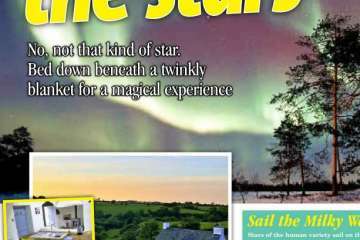 Four years ago, I cut out the article in Bella Magazine, hoping one day I would get to visit this beautiful pink cottage. My dream came true. From the moment we opened the metal farm gate and drove down the track, the adventure began and the magic of this unique, adorable little cottage unfolded. 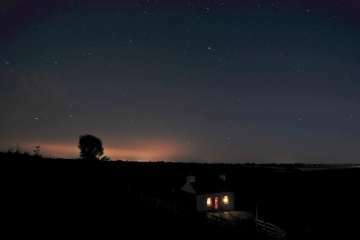 Everything about Cwm Hill is wonderful .... the comfort, the wood burner, the breathtaking views, the location, the starry skies at night .. Thank you for this slice of magic! Just had a superb mini 5 night break at Cwm Hill! 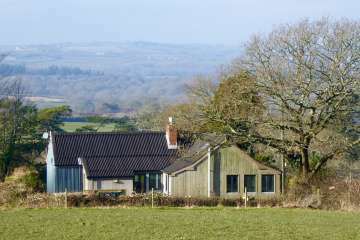 We really needed to get away from it all and Cwm Hill provided this safe haven away from the rat race. Stunning views across a lush valley, a quaint and gorgeous property to rest in and a short drive to such a beautiful coastline. Fell in love with Broad Haven! 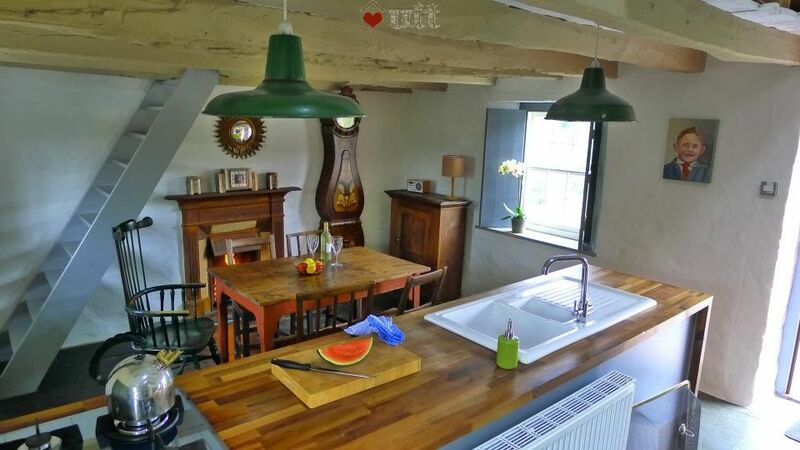 Truly beautiful cottage, lovingly restored. Woodburner made it the perfect retreat when the wind and rain came. Very well-equipped kitchen. 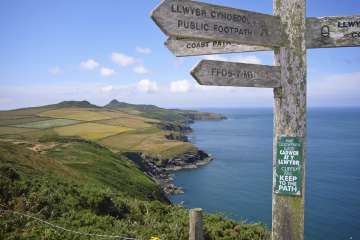 Easy distance to get out and explore the glorious coastline, with lots to do from the door too! 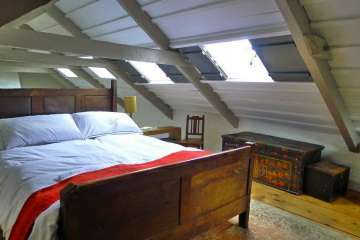 We loved the windows above the bed so you could look out at the amazing starry skies. A true getaway from it all. We'd recommend it to anyone. 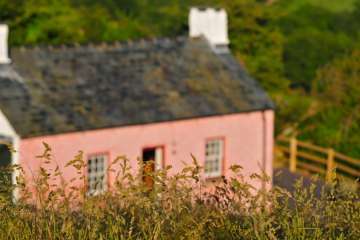 Cwm Hill cottage was perfect in all ways. Warm and cosy and very comfortable. Eleri dealt with the booking efficiently and in such a friendly manner. The setting and large garden was wonderful as well. Thanks to Jemma the housekeeper and the talented owner Greg. 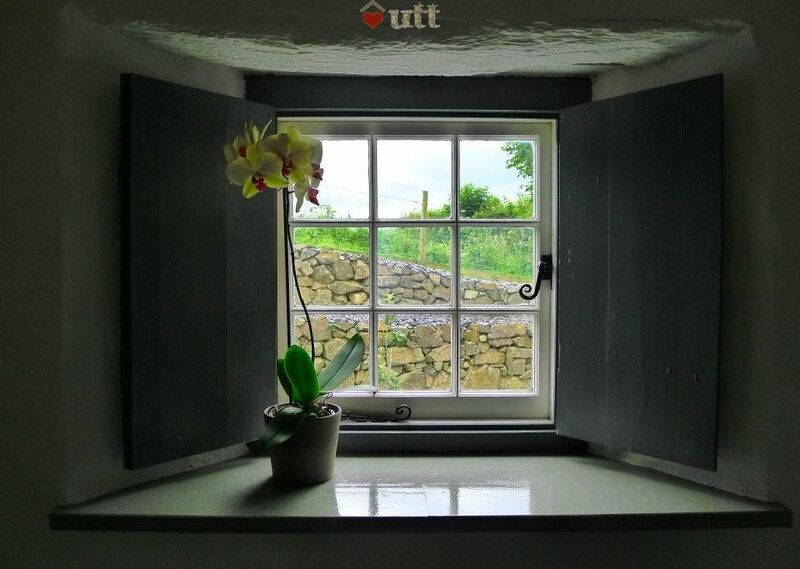 Can't wait to book another UTT property soon. We really enjoyed our stay. Peaceful and so cosy. We hope to return again sometime soon. Thank you. Had a wonderful week here with only the cows and swallows for company - incredibly peaceful, wished we could have stayed longer. Had two clear nights when the star display was mind-blowing. 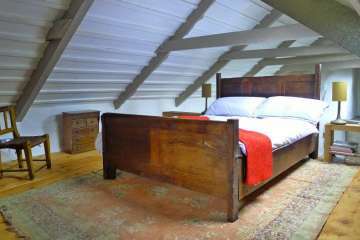 The cottage is very comfortable and well-equipped for two. Good central location with both North and South coasts within easy reach as well as the Prescelli Hills on the doorstep. We had a brilliant holiday! The cottage is tiny, but perfectly formed and we really enjoyed staying there. It's in an idyllic location and there are so many interesting places and amazing walks nearby. We would definitely go there again! We had the most relaxing and away from it all holiday in Cwm hill. I stayed with an adult with learning disabilities who found the cottage like a home from home as she lives in a Camphill it had everything we needed but nothing that we didn't -it's the best way to live. Hope to be back one day for sure! 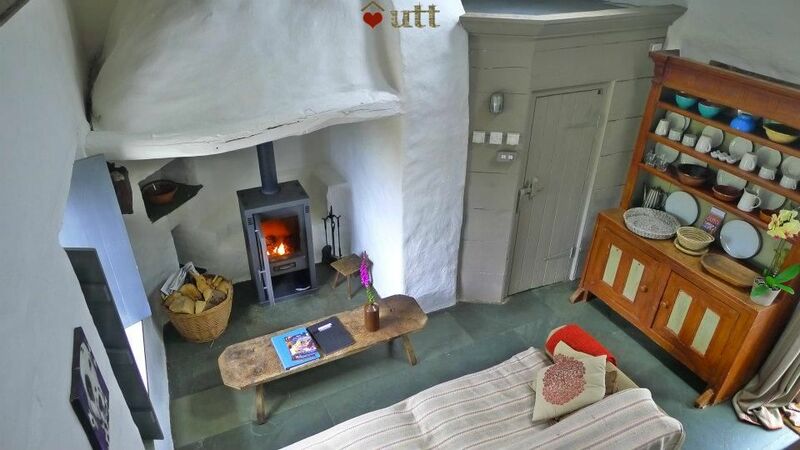 This is a really charming little cottage - the smell of woodsmoke as you walk in the door is just wonderful. It's a truly unique little place yet has all the modern equipment you would need for a long weekend. Didn't have any trouble finding it as the instructions were very clear. The only thing I could suggest as an improvment would be to have a couple of comfortable outside chairs - it was a bit of a shame in the sunshine to just have the bench to sit on (which wasn't the most comfortable!) Other than that, we thoroughly enjoyed our stay and so did our dog - would definitely return. 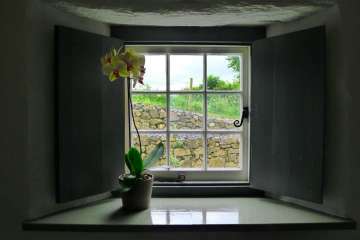 We had the most amazing break in this little cottage. Blessed with incredible weather we sat on the bench for breakfast and dinner every day watching the cows in the fields opposite. Being away from the usual huddle and bussle of daily life with no that's was wonderful. We really did not want to leave. The cottage was gorgeous! Very privately located in the hills, so you are totally alone. Lovely views from the garden over the valley and wonderful for watching the swallows swooping over and the resident buzzards flying past. 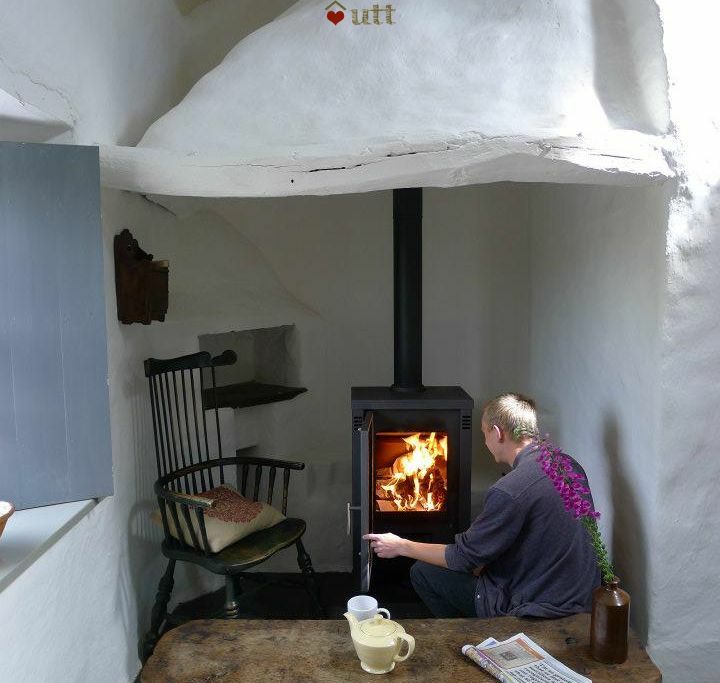 The cottage itself is very comfortable and the cosy wood burner heats the whole house very quickly. Good kitchen area with all you need (except ice tray!) and plenty of space. 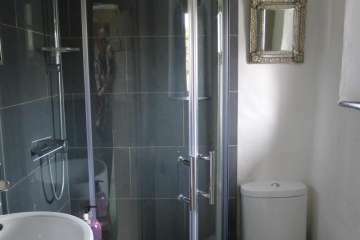 Very powerful shower and instant hot water. The bed is extremely comfortable and hard to get out of due to it's cosy nature! Love all the antique / vintage furnishings. Unfortunately we had bad weather so no stars for us but will return in the hope of some sunshine and clear nights. The area is stunning with so much to see and do. 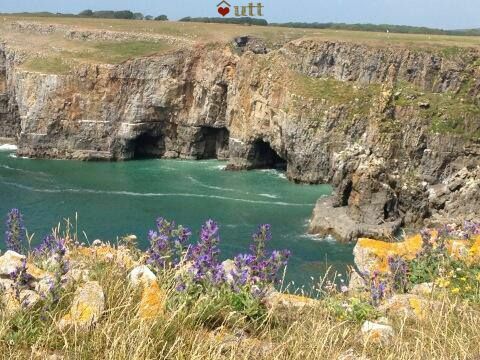 Will definitely be returning to this lovely little place - our favourite UTT so far! Wow! Love this place! 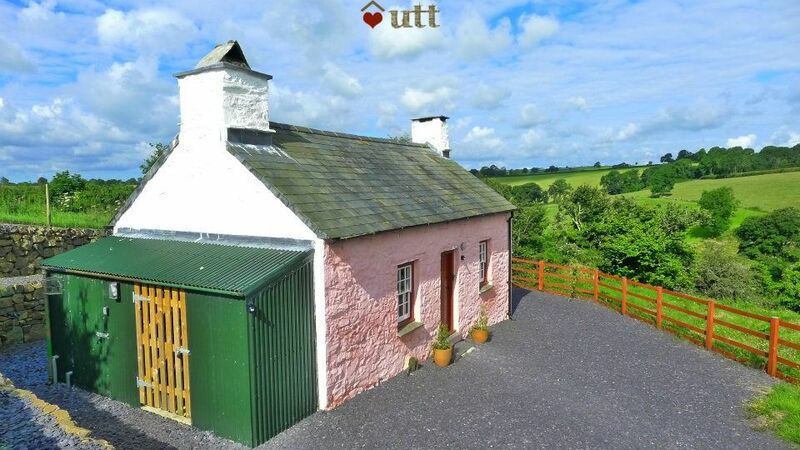 Beautiful cottage in the beautiful countryside- what more could you ask for? We had such a great time- really didn't want to leave. Long weekends just aren't long enough! 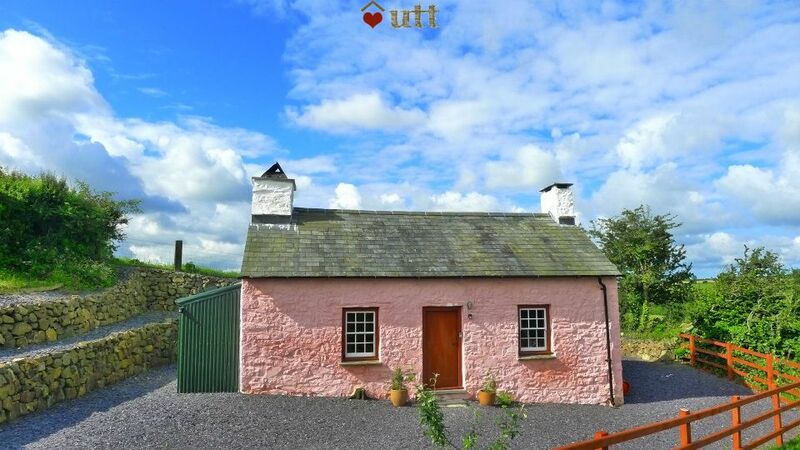 A wonderful traditional welsh cottage in a beautiful setting. We wanted a peaceful weekend away from it all and this is the place that fits the bill. Very cosy and romantic. Thoroughly enjoyed our stay and will definitely return. 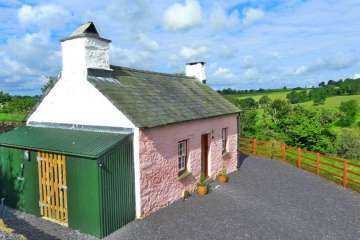 Booked this lovely little cottage for 2 nights as a complete break from daily life. 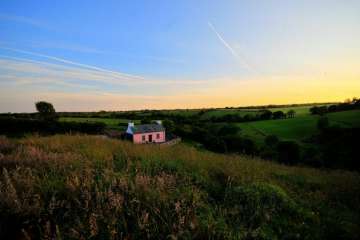 If you are looking for peace and solitude while being within easy reach of all Pembrokeshire attractions then this is the place for you. A lovely relaxing holiday. Very windy and rainy but was hugged by the little cottage to keep us warm. 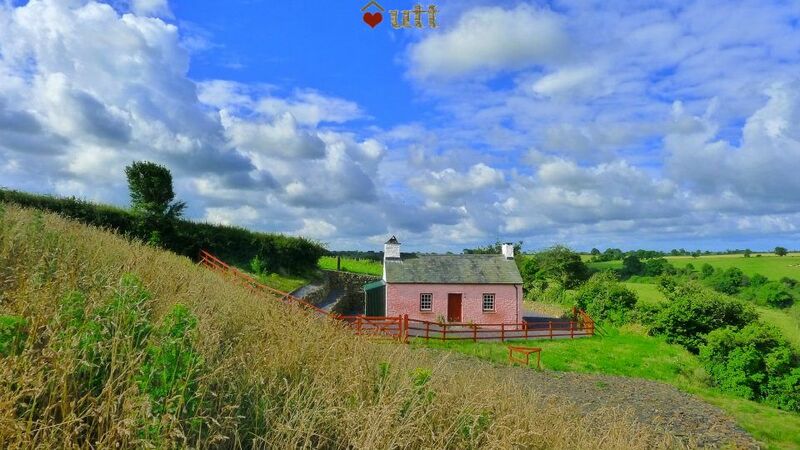 The Pink Cottage is gorgeous! We've stayed before and will definitely be back again. Amazing location, remote enough to see the stars but near to many great places on the Pembrokeshire coastline. The near-by reservoir is great to visit too. All mod-cons, so simplicity and luxury rolled in to one. Had lovely time at this cottage very peaceful and secluded will be visiting this place again very relaxing it's a total getaway from daily life. Absolutely fantastic. 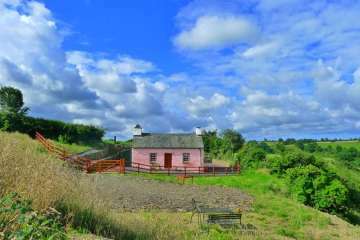 A beautiful cottage in a peaceful area, containing everything you would need for a complete getaway from it all in total seclusion. Perfect place to unwind ! Second time staying here. Loved it even more than the first time. We'll be back for sure. This was the most perfect little weekend away. New Moat is central to everything so it doesn't take long to get to the beautiful, dramatic coastlines and stunning walks. 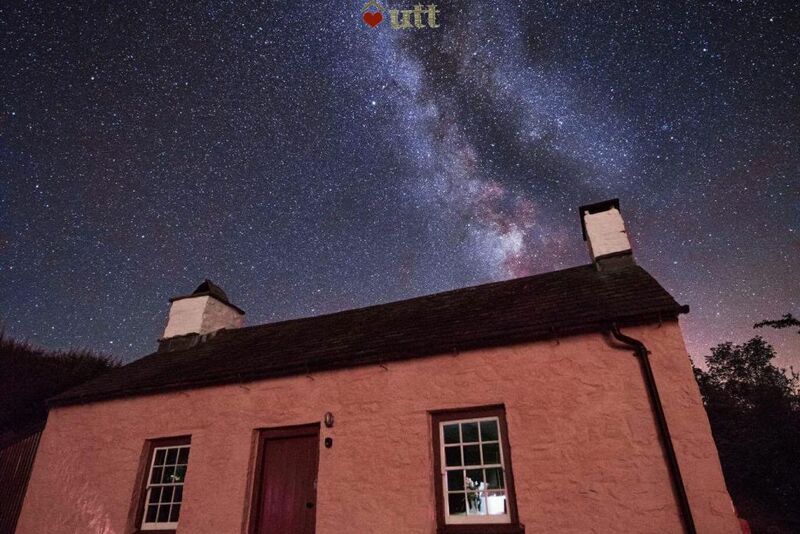 Cwm hill is such a romantic secluded little place and the stars are amazing! We were lucky with the weather with Wales seeing it's hottest November day ever but I would love to come back when the weather is stormy and just cwtch in front of the fire! A wonderful holiday at Cwm Hill. The cottage lived up to our expectations completely and we had our most relaxing holiday ever. 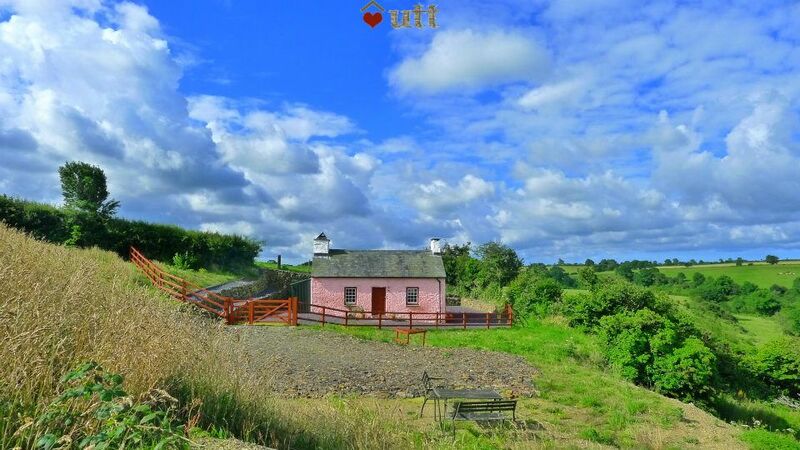 It was so exciting to drive up the track and see the tiny pink cottage peeping up from a hollow. 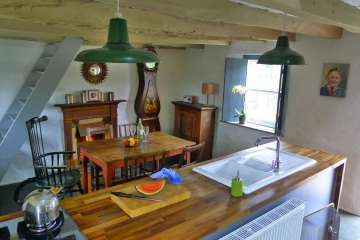 The cottage was furnished beautifully with a mix of old and new. We felt like we had stepped back in time. We will definitely be back and have recommended it to all our friends. A perfect romantic getaway! We loved the Cwm Hill cottage. Beautifully cute, well equipped, tasteful, practical and a great use of space we felt. Lovely open countryside, peace and time to breathe, we enjoyed its simplicity and calm. Bed upstairs a little small in length and not for tall people in general. Otherwise First Class. 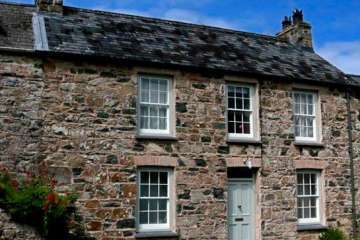 “The cottage was perfect it has been restored with great care and attention to details. 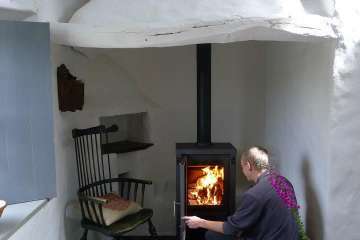 The wood-burner was perfect, we had no problems lighting it and the cottage was soon warm. We had a wonderful stay exploring the Pembrokeshire coastal footpath.” Ian T.
We loved the little cottage at Cwm Hill.....a peaceful retreat and a relaxing break. Cloudy evenings, so no stars, but birds including a flock of perhaps 100 wild geese streaming across the horizon. 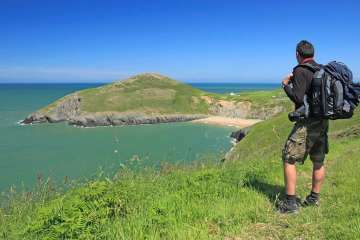 A great location for exploring both the north and south Pembrokeshire coasts.we know the area well having stayed in several other UTT cottages so visited some favourite haunts as well as exploring the Marloes peninsula and discovering the beautiful Musselwick sands. A couple of points..the cottage is described as having two acres of land to explore ...it was difficult to work out what land belongs to Cwm Hill and the garden needed more weeding. 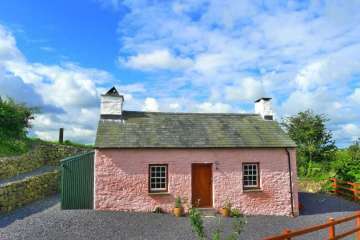 But neither of the above in any way detracted from the enjoyment of the break in this charming little cottage. We would happily visit again. This was an amazing holiday, the house was beautiful and the walks and scenery were breath taking. We also found out we were expecting our first baby and it was the perfect place to celebrate! We have already recommended it to all our friends - who have booked to go and visit. We will definitely be returning ourselves! This is a lovely warm and comfy cottage to relax and star gaze weather permitting. Very peaceful and secluded from other properties. 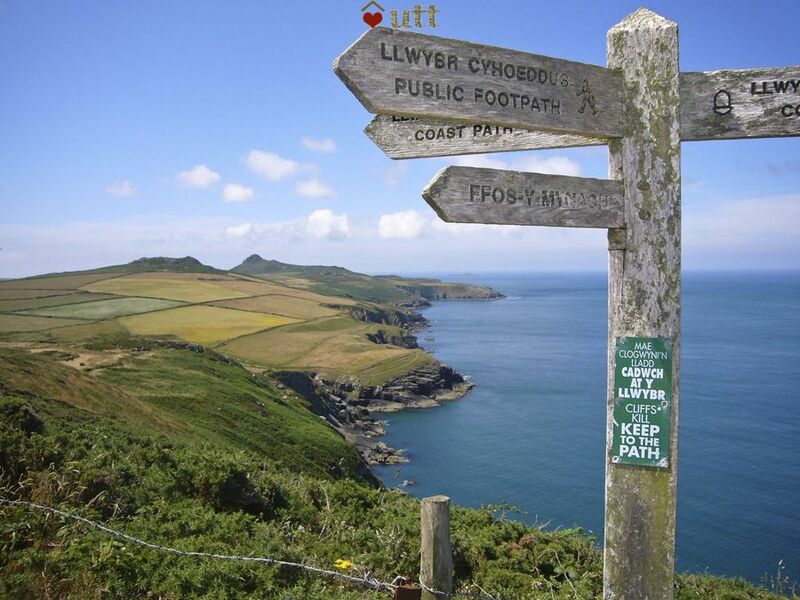 Ideal location to walk the Preseli Hills and explore the coastal paths. If you're looking for total seclusion and to get away from it all, then this is the place! We just loved the feeling of being the only people in the world! Firing up the woodburner and watching the flames was really therapeutic. There was everything we needed at the cottage. It was in such a beautiful setting and so nice to have no noise from anywhere. The stars on our last night were mesmerizing. You could spin around on the spot and the whole sky was filled with them in every direction. It is a basic and cold cottage and getting upstairs isn't for anyone with mobility problems. But it's worth putting up with this to stay in such a tranquil and romantic place. Amazing holiday. Cottage was in a stunning location, so beautiful & tranquil. The log burner was so nice to use, the bed was so comfy and everything was perfectly clean, ready for us to use. Also surprised at how easy it was to find and access considering this cottage really is in the middle of the countryside! I just wish I lived there! Only 20/30 mins away in 3 directions from the coast, perfect cottage, perfect location, perfect holiday! 10/10!